Starting next month, Australia will deploy drones powered by artificial intelligence to patrol Australian beaches for sharks. As reported by Reuters, publicly available videos are used to train the system’s algorithms and differentiate sharks from other marine creatures, surfers, swimmers and boats. "Studies have shown that people have a 20-30 percent accuracy rate when interpreting data from aerial images to detect shark activity. Detection software can boost that rate to 90 percent," said Dr. Nabin Sharma, a research associate at the University of Technology Sydney’s School of Software. "It’s not about replacing human beings all together, it’s about assisting human beings to get the work done in a better way with more accuracy. That’s what the application is meant for." 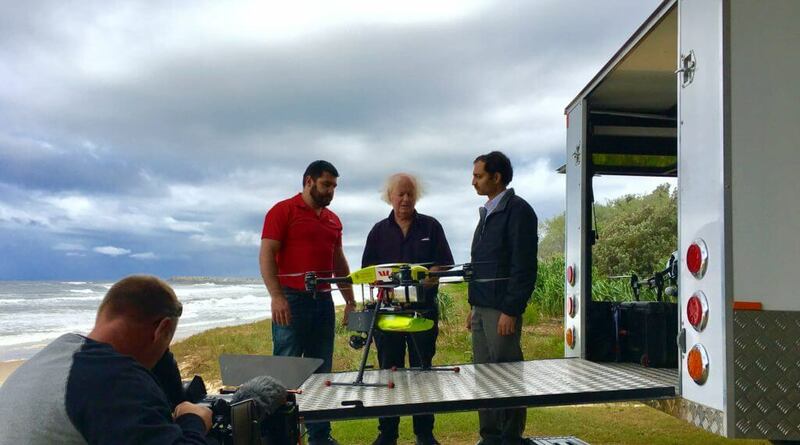 In 2016, the University began working with Little Ripper Group, the company that developed the drones, on the shark detection project. According to co-founder Dr. Paul Scully-Power, a life raft and emergency beacon could be dropped from the drone if a shark is detected. Little Ripper Group is also working on developing an electronic shark repellent. "I guess the world has learned many years ago - defense in depth is the way to go. So this is one of the layers of the depth," said Scully-Power. According to the International Shark Attack File of the University of Florida, Australia trails only the United States in the number of unprovoked shark encounters with humans last year. Following a string of attacks, Australia began installing protective underwater nets in an attempt to protect swimmers from the sharks, however, there are some researchers who have questioned the reliability of the underwater nets while environmentalists cite potential harm to marine wildlife.